A quick hitting system will bring moderate snows to many in the Midwest tomorrow. Note that the totals on the map is what will fall from the sky and accumulate on cold surfaces. This time of year a lot of the snow will melt on pavement, especially during the day. Another, even larger, storm will move in from the west early next week. 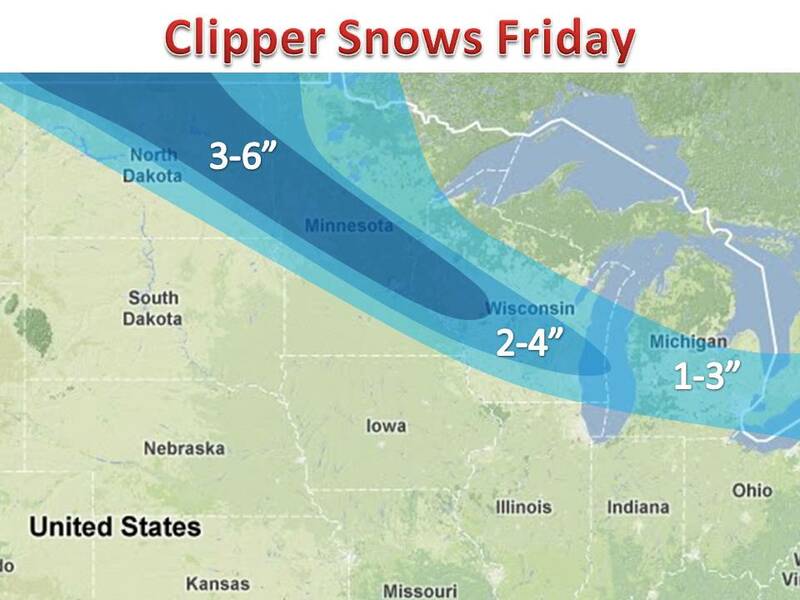 An area of 4-8" possible in Minnesota and northern Wisconsin, with less south. Models are still trying to conform on a solution as to where this band will set up. Yet another system possible at the end of the week...winter continues.